Enjoy barefoot like comfort with the Agave by Mephisto. 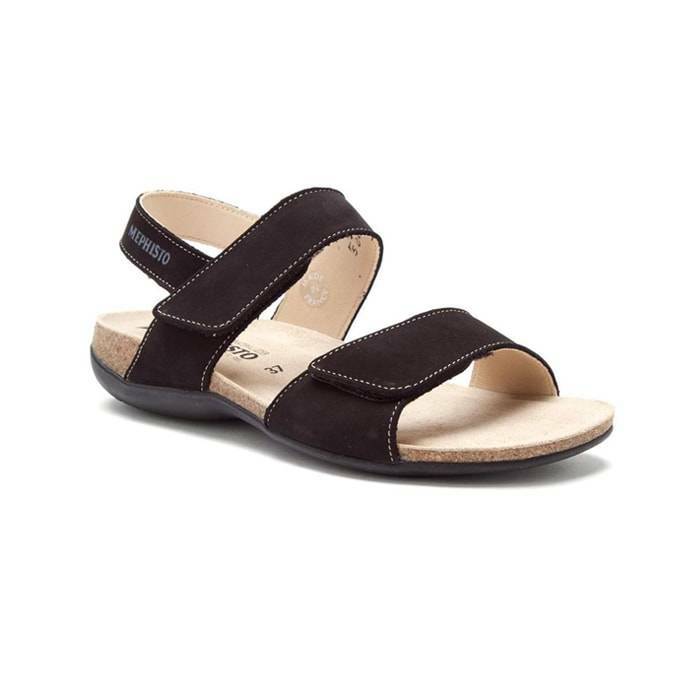 Soft and flexible best describes the Mephisto Agave Black Bucksoft casual walking sandal. Crafted with a rich, supple leather upper, the Agave features two softly-lined, foot-hugging front straps that adjust easily and securely with hook-and-loop closures. The suede footbed with a resilient cork midsole will cradle your feet so you will feel like your walking barefoot at the beach. The latex outsole offers an ultra-lightweight, shock-absorbing ride for all day comfort. Simple good looks make the Agave easy to pair with you favorite pair shorts, cropped jeans or casual cotton skirts.